The versatile manifestations of engineering have had a profound and lasting impact on our civilization. From the grandeur of the pyramids and mans journey into the space, to the recent information revolution, engineering continues to fascinate and enthrall. The B. V. Bhoomaraddi College of Engineering and Technology (BVBCET) believes in kindling the spirit of this unique and creative discipline in every student who enters its portals. Preparing them for a world in which their contribution truly stands apart. Vidyanagar, Hubli – 580 031. Karnataka State – INDIA. BVBCET has an excellent record in training and placement of students. The organization provides an excellent training right from the 2nd year of BE through various HR programmes like VIKAS.The Placement Cell of BVBCET has adequate infrastructure in par with required standards. This attracts many IT majors like TCS, ACCENTUATE, SUBEX, TOSHIBA, JUNIPER, INFOSYS, ROBOSOFT, ROBERT BOSCH and SANKALP SEMICONDUCTORS and other global non – IT companies like ASIAN MOTORS, TATA, JINDAL ,KIRLOSKAR and L & T.
Campus:The versatile manifestations of engineering have had a profound and lasting impact on our civilization. From the grandeur of the pyramids and mans journey into the space, to the recent information revolution, engineering continues to fascinate and enthrall. The B. V. Bhoomaraddi College of Engineering and Technology (BVBCET) believes in kindling the spirit of this unique and creative discipline in every student who enters its portals. Preparing them for a world in which their contribution truly stands apart. Established in 1947, BVBCET has achieved an enviable status due to a strong emphasis on academic and technical excellence. From a modest beginning when the college offered only an Undergraduate program in civil engineering, the college has indeed come a long way. 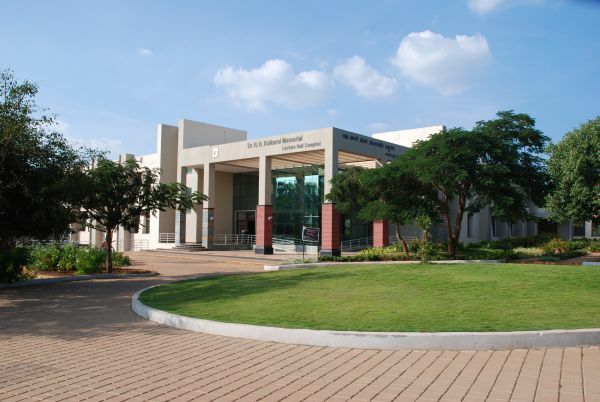 Currently college offers 12 UG and 8 PG programs affiliated Visvesvaraya Technological University, Belgaum and is recognised by AICTE, New Delhi and accredited by NBA. 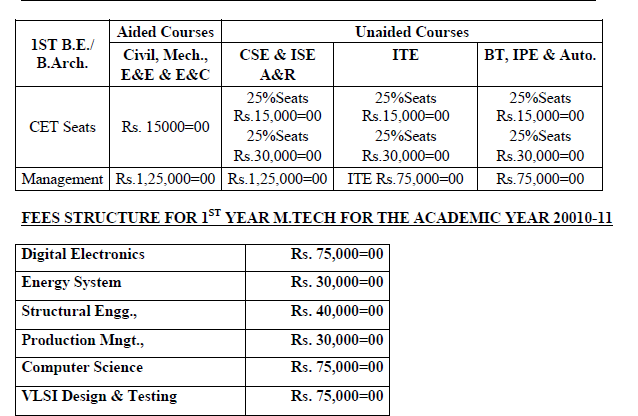 Current annual student intake for Undergraduate & Post Graduate programmes is in excess of 1200. The faculty consists of extremely qualified and dedicated academicians whose commitment to education and scholarly activities has resulted into college gaining Autonomous Status from the University and UGC. The college has adopted Outcome Based Education (OBE) framework to align the curriculum to the needs of the industry and the society. Innovative pedagogical practices in the teaching learning processes form the academic eco system of the institution. The active involvement of faculty in research has led to the recognisation of 8 research centres by the University. Spread over a luxurious 50 acres, the picturesque campus comprises of various buildings with striking architecture. A constant endeavour to keep abreast with technology has resulted in excellent state-of-the-art infrastructure that supplements every engineering discipline. To enable the students to evolve into dynamic professionals with broad range of soft kills, the college offers value addition courses to every student. Good industrial interface and the experienced alumni help the students to become industry ready. The college is a preferred destination for the corporate looking for bright graduates. There is always a sense of vibrancy in the campus and it is perennially bustling with energy through a wide range of extra-curricular activities designed and run by student forums to support the academic experience. Central library: BVB has around 4000 students on campus with over 2000 living on the campus in hostel. Students can avail the numerous resources on campus like the 24 hours library and ever active WiFi service. Hostel: BVB has around 4000 students on campus with over 2000 living on the campus in hostel. Students can avail the numerous resources on campus like the 24 hours library and ever active WiFi service.